The ToughSwitch range is being re-branded. 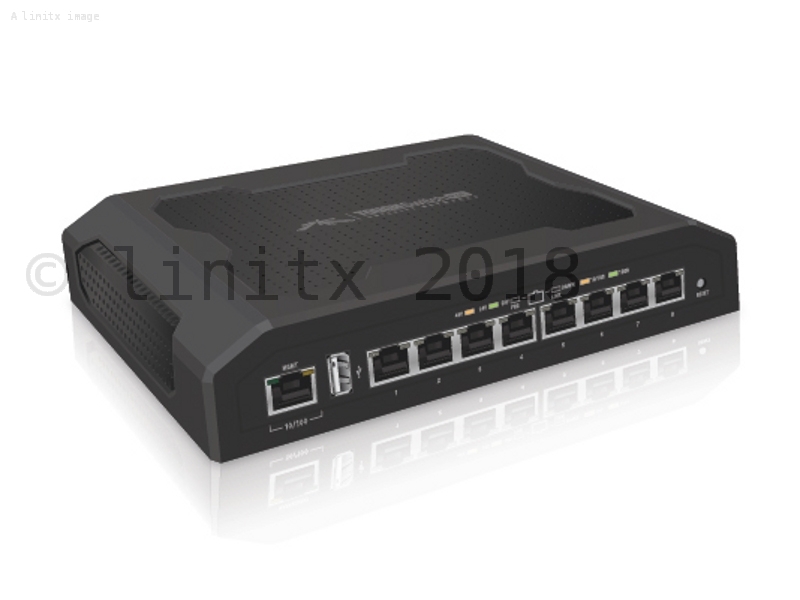 The TS-8-PRO will be referred to as the ES-8XP part of the EdgeSwitch XP range. With new software features such as UNMS integration. 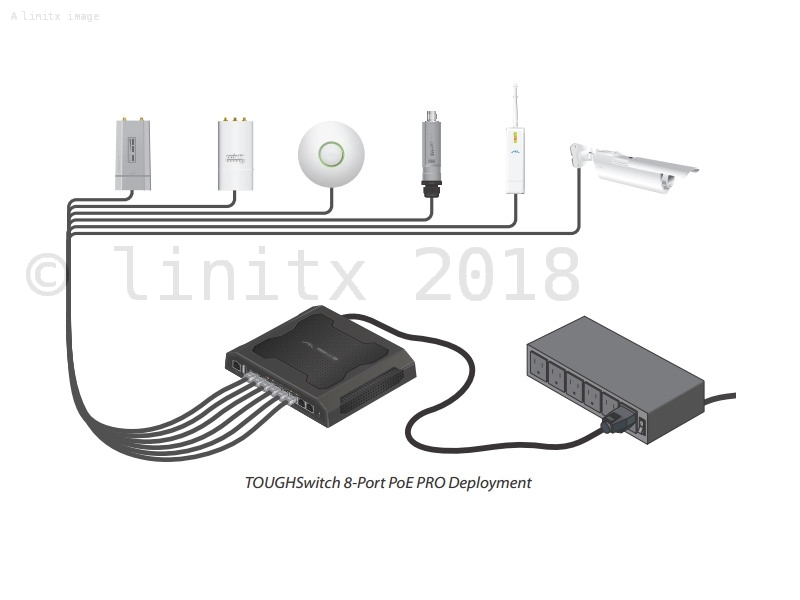 You can upgrade your ToughSwitch to gain these new features using the firmware found on Ubiquiti's Software Download page. 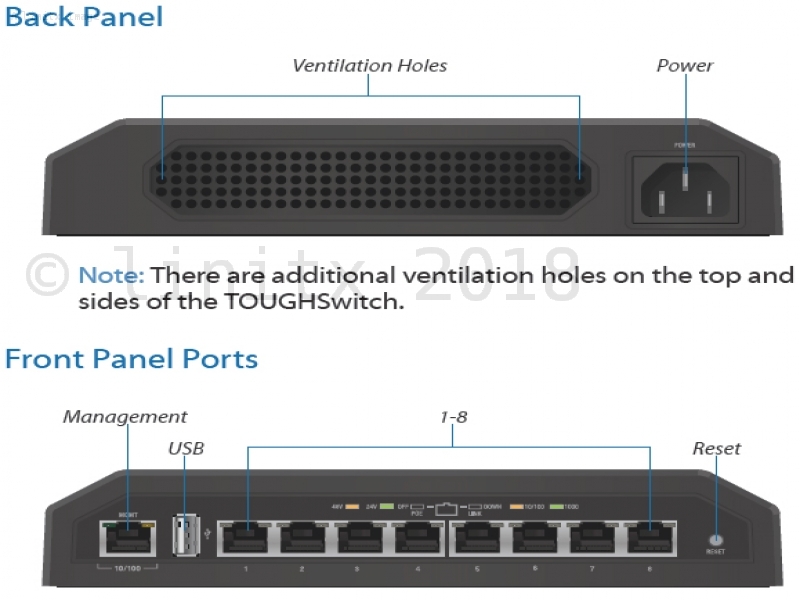 The Ubiquiti ToughSwitch PRO 8 Port Gigabit Switch is part of the advanced PoE (power over Ethernet) controllers in the ToughSwitch range. With its low price point, robust design and efficient PoE delivery, the TS-8-PRO is one of the most popular ToughSwitches we stock. The TS-8-PRO delivers fast 10/100/1000 Mbps connections speeds to attached devices, as well as reliable passive PoE (power over ethernet) to all connected Ubiquiti devices and other compatible hardware (with the exception of Air Fibre devices). 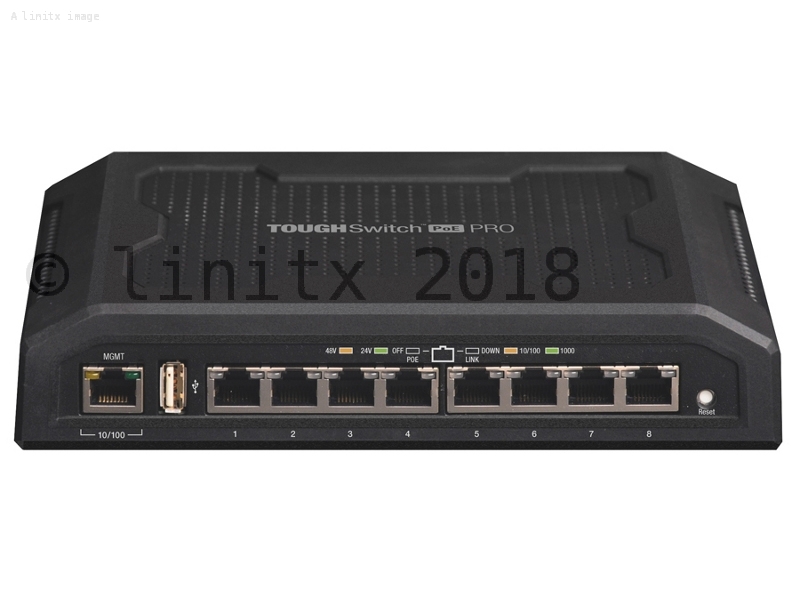 The TouchSwitch Pro is an industrial-strength 8 port Gigabit switch, offering 150W of power to 24V or 48V connected devices. 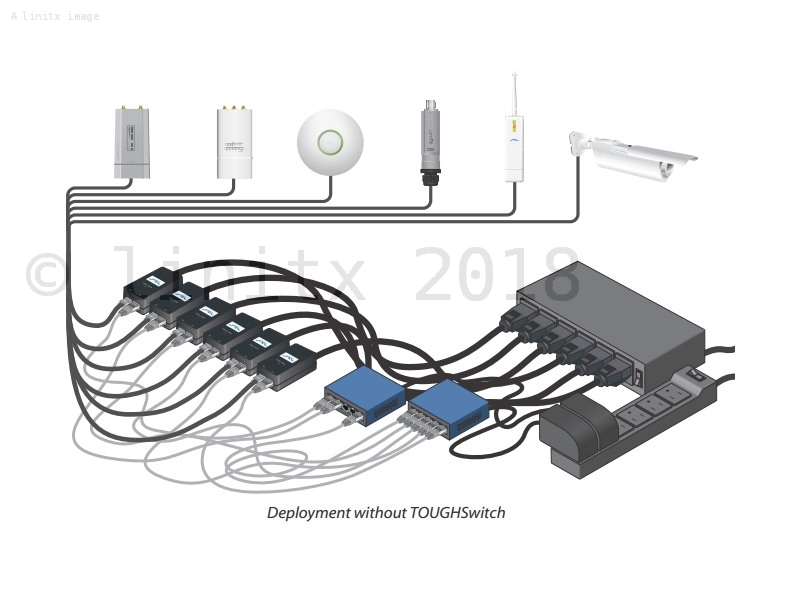 If you require other power options and port configurations, please check out our range of Ubiquiti EdgeSwitches.